Was doing some surfing and ended-up viewing the old subject Thread http://forum.gibson....ifeson-es-355/. Wondering how many of you (if you're still out there?) still have your Lifeson's? I still have and LOVE mine! That is bad a-ss. What is the little switch by the pickguard? That's a bypass for the Varitone switch. When Gibson gave Alex his original in '76, the switch wasn't on the guitar. Alex had it added to bypass the Varitone if he chose to do so. Got ya. I have a BB King Lucille with a Varitone and positon 1 on mine is bypasses the Varitone, only 2 - 6 go through the circuit. Hum, I would've never thought that? I would suspect that BB's was that way then? I'd love a Lucille myself! Yours basically is a BB King with f-holes and the vibrato hardware. That is true, however, there are different esthetic differences, not the least of which is the color. 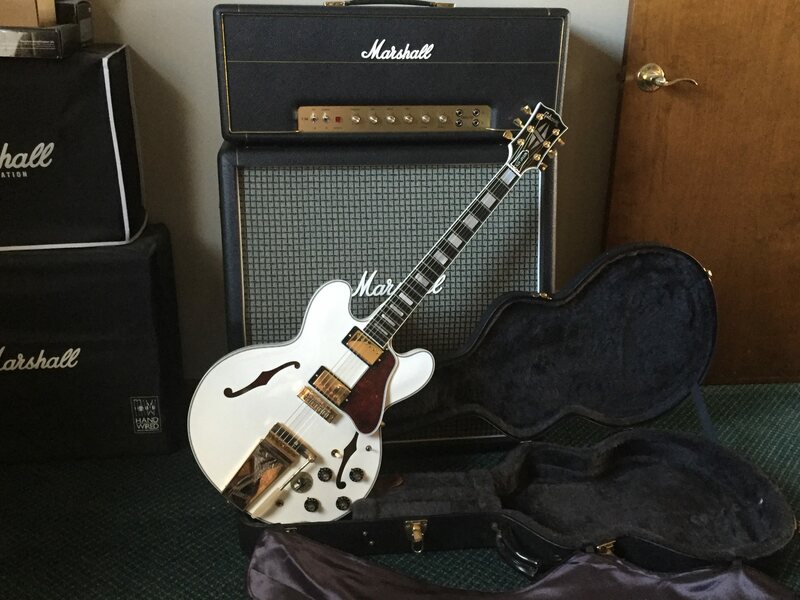 Besides, I have four Les Pauls, so what's the matter with having two 355s? LOL!